President Kubly, distinguished members of the faculty, ladies, and gentlemen. But it won’t be. I promise. What I really would like to do is amuse you with all the mistakes I have made since I left art school in London after two years of study. But, I don’t think President Kubly would think much of my telling you about the first time I read a speech before an art college audience many years ago. It put one attractive coed to sleep after five minutes. But it all worked out very well. I married her at the end of the term—she had shown such good judgment. This surely is no time for gloomy reflections on the perils of the real world. This is a commencement—a beginning, a time for hope and optimism. For some of you, a time of euphoria. After all, how can you people miss when you get out there? You have had the intelligence and foresight to spend the best years of your life at the best design college in this country, perhaps on this planet. And you have worked very hard these last three or four years, I’m sure. 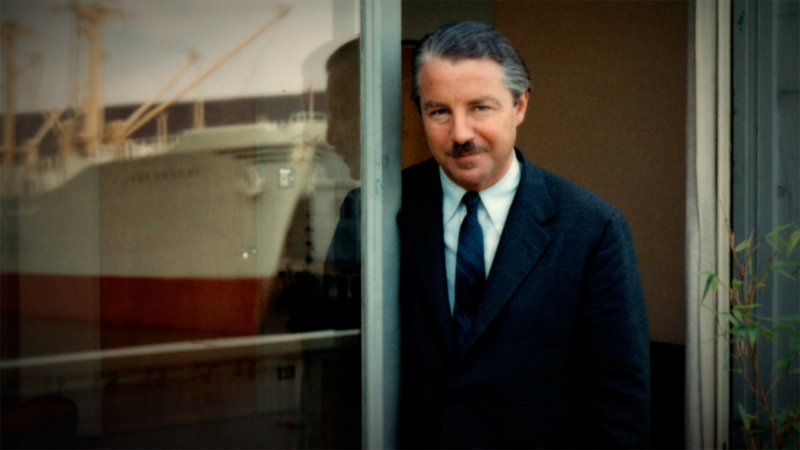 Walter Landor aboard the Klamath ferryboat, Landor’s first major office docked in the San Francisco bay. You are so much better prepared for the challenges ahead than were most designers of my generation. You have your youth, your talent, your skills, and a business community now more than ever aware of its dependence on effective design. They are learning that there is no substitute for a good designer—not even a computer! The last few years we have been trying to make computers work for us at Landor Associates, but so far they have not been able to compete with creative talent like yours, wonderful tools as they are. So well prepared as you are, you stand a very good chance of being resilient to the annoying little shocks to your ego and to your ideals, which you are sure to experience in the years ahead. I mention these shocks only because they are bound to occur in the natural course of events when you start expressing yourself in the business community for the first few times—no longer in the protected environment of academia where your design professors were your only judges. After all, they were a band of benevolent adversaries. You will discover soon in that business community, a new and often puzzling species—the clients. It will be your task—and believe me, it is an interesting challenge—to convince them that you know what you are doing. You will have to convince them that you know how to use design to communicate to their customers—millions of nameless consumers whom you have never met. But then, I hasten to add, neither have they. You should think of those consumers as actually being your boss. Whatever you design will ultimately—in one way or another—be asking for their approval. It will be your job to make them swallow your creativity, to make them respond favorably. 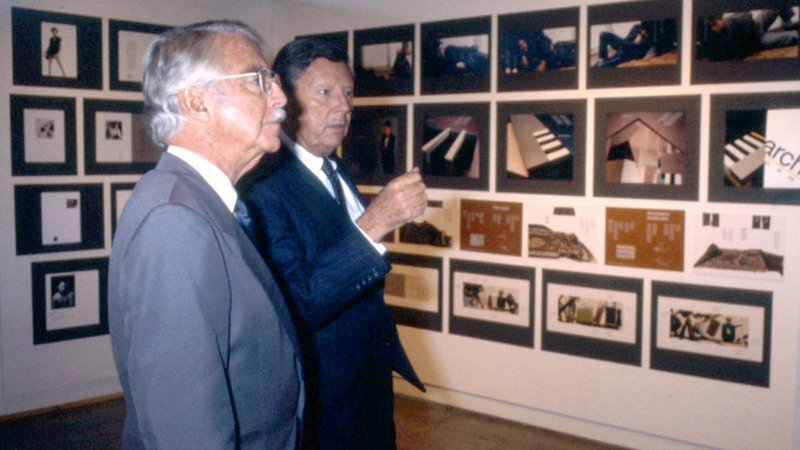 Walter Landor touring with Donald Kubly through the student gallery at the Art Center College of Design. © Art Center College of Design, Pasadena, CA. That realization may be tough for many of you at first—particularly those of you who have developed very fixed ideas about your style of good design and your almost exclusive ability to produce it. And that brings us to that old question. What the hell is good design? Is it something that gives satisfaction to your own ego? Or is it something that creates a positive response in the eyes, minds, and hearts of millions of people? Also, is it something that is appropriate to its category? Ideally it is all of these. Some of us strive for self-expression—just like fine artists. And some of us strive to communicate—and that’s a whole other fine art. I think we have matured as designers when we eventually realize that these need not be mutually exclusive goals. 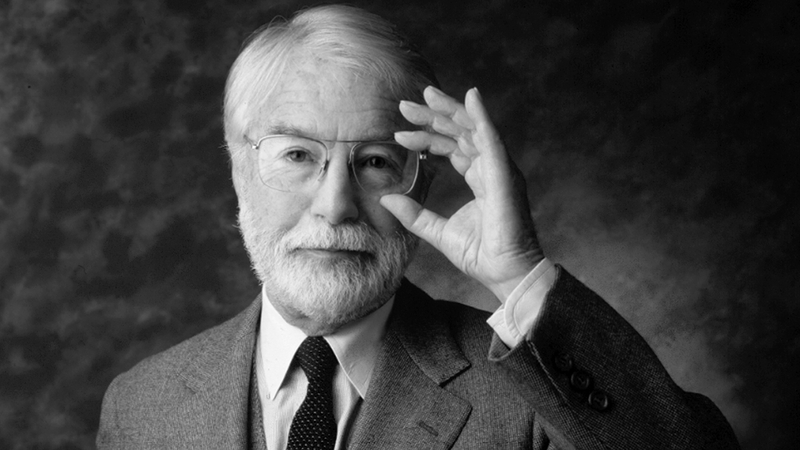 Think of the creation of good design as a problem-solving activity. There is the challenge, the real fun that lies ahead for most of you. You may know that the Chinese have only one character in their calligraphy for both “problem” and “opportunity.” Well, you can view design as a problem and perhaps find a solution, or you can view it as an opportunity, and perhaps find inspiration. In approaching a design assignment, you do have the opportunity for self-expression. But that, unfortunately, isn’t primarily what your clients pay for. They grasp the opportunity to use your creative genius to influence those millions of people to respond in favor of the products and services they are selling. They welcome your leadership in this regard, but they couldn’t care less about your own satisfaction or the bruised condition of your innermost being. There is a big difference between a paying client—and a patron. We at Landor Associates are willing and anxious to listen to the average man and woman in the marketplace. We are respectful of consumer needs, including the need to understand what we are trying to say to them. This often means a subordination of personal style preferences in solving a design problem. 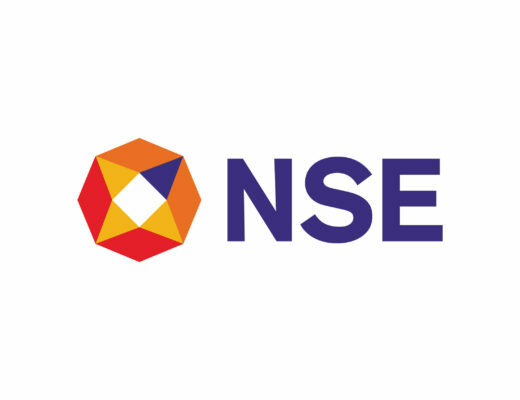 First and foremost, our task as we see it is to find innovative ways to communicate to a mass audience in a manner in which they can respond to our client’s message. Whatever that message may be. We never forget that we are in the business of marketing. 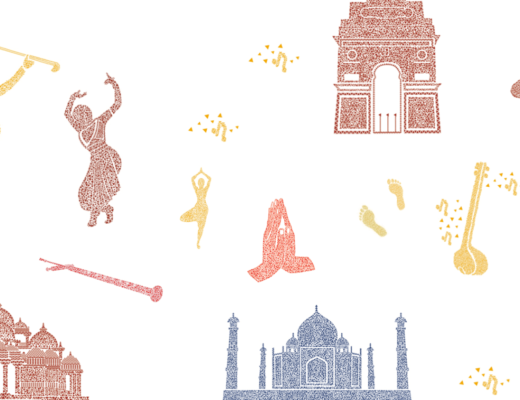 We try to harness the emotional power of design to communicate to the marketplace. We try hard not to have a personal style, not to let personalities get in the way of immediate and positive communication. We do admire the work of some of our designer friends and colleagues who have led the way by developing, and becoming known for, a very personal, avant-garde style. Sophisticated clients select them for their personal style, and when it is appropriate to the communications problem, it works. The choice is yours: emphasis on personal style or on communications problem solving. Walter Landor and Donald Kubly view student work at the Art Center College of Design. © Art Center College of Design, Pasadena, CA. We at Landor Associates have chosen the latter path. We spend great effort in searching out the best and most direct route to the minds and hearts of the consumer, the target audience, for the particular message the clients need to get across. We employ design as a tool to express the client’s selling strategy. We call it strategic design. Of course, we still insist on the best possible aesthetic solution that is consistent with optimum communications effectiveness. This is often tough to accomplish, but it is worth it. To determine just what is the optimum communications approach needed to reach a wide audience you have to trust your intuition while designing. But if you want to be absolutely sure, you will quickly discover that you may have to use more scientific ways to find out how a design is perceived by the target audience. 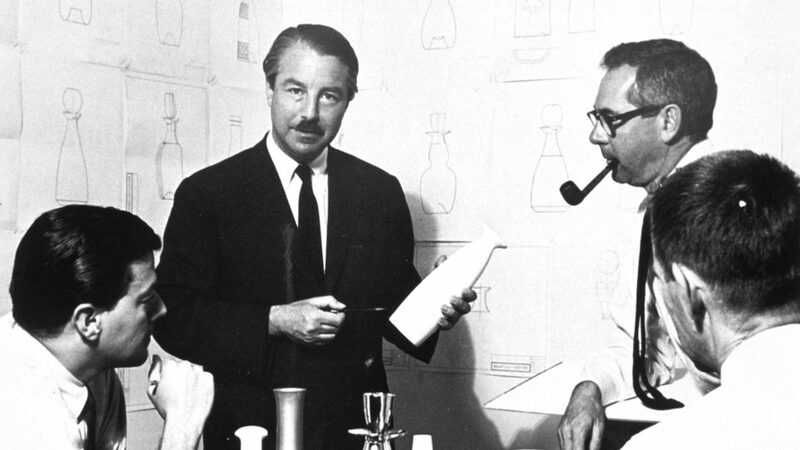 As far back as the early 1950s, we organized a communications research group to develop pretesting methods to help us evaluate consumer perceptions of design alternatives—be it a package or a corporate identity program. Pretesting has become an increasingly useful tool in our international work also. So you see, design has formed a partnership with research. Personal style is sometimes subordinated to the demands of communication. Art is trying to marry science—in a funny way. 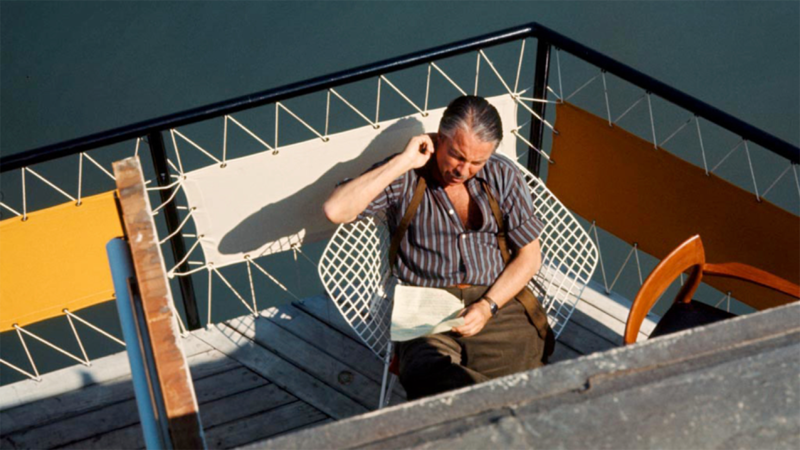 Walter Landor at work on the deck of the Klamath ferryboat. I know many of your fine teachers have prepared you for this alarming news. But it will still be a bit of a shock. But I will not cast a pall on the festivities by chanting the usual litany of things you already know. Things like, “The world is full of philistines who know little about art and design.” Besides, you will be happy to know, there is abundant evidence that the philistines are losing ground, and that design appreciation is a fast-growing force in the world today. Good design has become important to everything from airplanes to fast food places to postage stamps, reaching into every corner of our national life. People’s increasing sensitivity to environment is resulting in larger and larger markets demanding better design. We have watched this trend gain momentum for over 40 years and contributed what we could. Historically, as you may know, our profession first became important to marketing during the Great Depression of the 1930s. 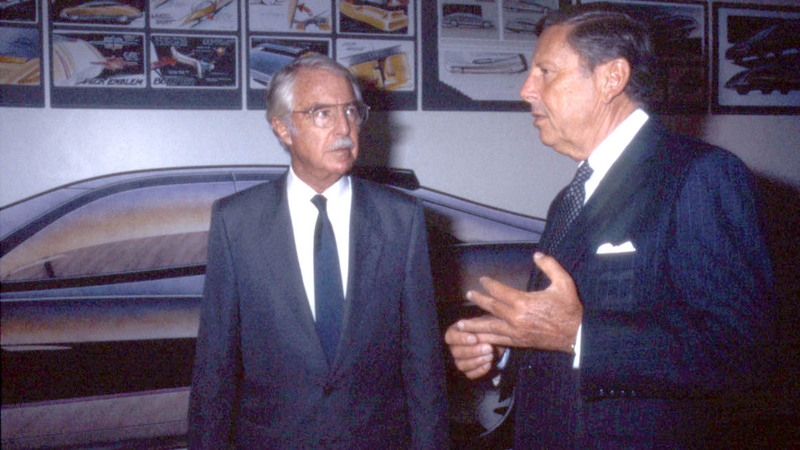 While most companies were wringing their hands, many initiated newly designed products, designed by our predecessors like Raymond Loewy, Henry Dreyfuss, etcetera, which succeeded thanks to distinctive marketing superiority. They communicated through their performance, their appearance, and their packaging. 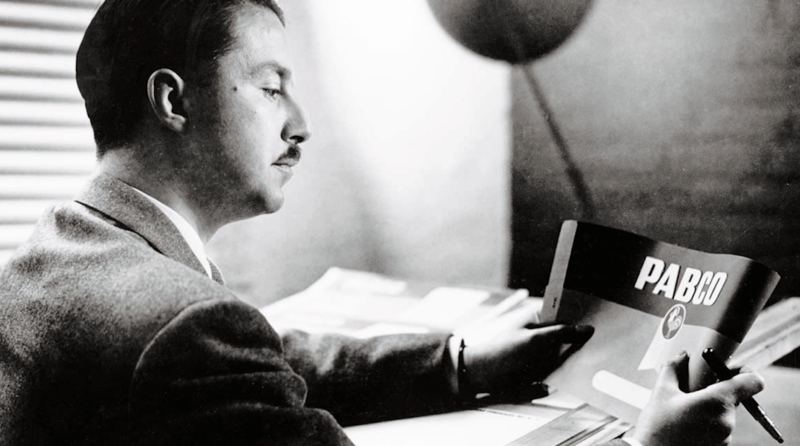 As more trained people entered the field from the very few top-level schools which taught the subjects, the industrial designers broadened their scope to include not only the product, the store in which the product was sold, the packaging and the vehicles which delivered it, and all the printed materials needed to support the sales effort, but also the design of the corporation itself and all of its visual communications. 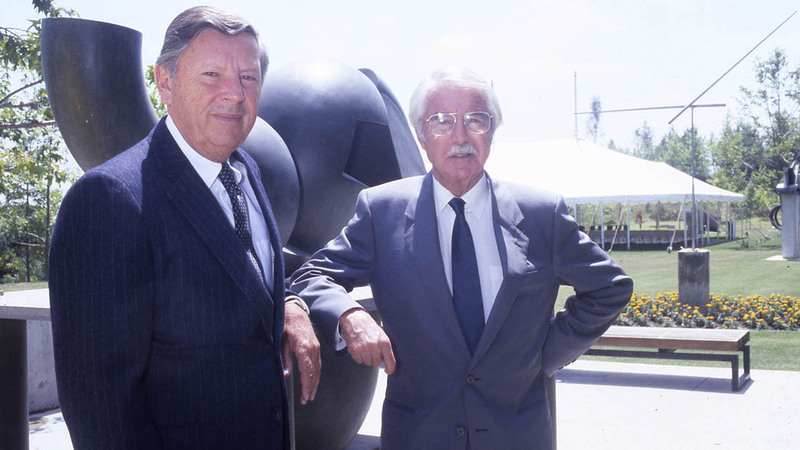 Walter Landor and Donald Kubly pose at the Art Center College of Design. © Art Center College of Design, Pasadena, CA. The total communications approach involves a series of systems that may involve anything from restructuring complex corporate organizations to repositioning product lines. 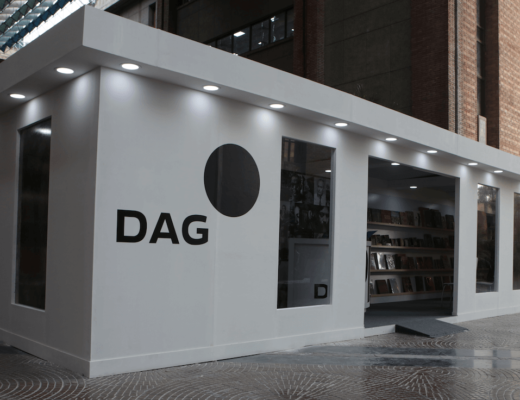 It is the development of methodology for bringing every environmental, visual, and promotional aspect of the company and its activities into a consistent, harmonious visual expression. This kind of communications system clarifies the corporate purpose and direction to all its publics—both internal and external. A welcome challenge, I am sure, for every one of you! No longer is the designer a handmaiden adding little niceties when budgets allow. He or she now is—and will increasingly be—an important part of the managerial team, right up there with the top executives, literally helping shape strategic policy. So that’s the world you are about to enter. Don’t let it scare you. You have too much to offer it. Now I would like to let you in on a few of my very own secrets. You may find them deceptively simple, but I assure you they could be surprisingly important to your careers. First. Look critically at everything. Don’t take anything for granted. Don’t allow your vision to be numbed by routine and familiarity. I mean truly look. Go through life every day looking at every environment, every product, every package, every graphic design, every photograph, every piece of furniture, all the way down to the manhole cover—on a daily basis. Next, sit back and enjoy it. And then figure out what you could do to improve it. It’s a wonderful exercise that will keep your talents fresh and your creative skills well honed. It is an exhilarating way to go through life. Second. Learn to listen. This is difficult. We all enter a dialogue with preconceived notions—nearly unshakable convictions. It is all too easy to shut out another’s point of view, to dismiss it as irrelevant before we have truly heard it. A good way to overcome this is to postpone arguing against another’s point of view until you find yourself receptive to it. Then question it. This will do wonders for you in design critiques and client meetings. 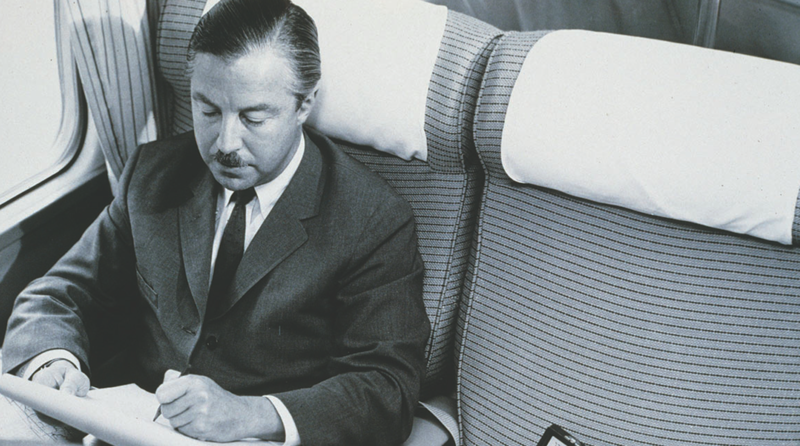 Walter Landor sketching one designs for one of his clients. Third. Become articulate. “But we are designers,” you say. “We are not word people. We express ourselves through our creative work.” That’s not enough. The business world is verbal. Try to overcome your shyness and trap yourself into talking at crucial moments—quietly but articulately. You will be amazed at how well you can hide your insecurities once you start expressing yourself convincingly. Believe me, we all suffer from insecurity. You can see I’m shaking right now as I stand in front of you. Fourth. Trust your intuition. This is not to say that you should grab at the first design solution that pops into your head and declare it the final world. Many of you will go to work in design groups or in agencies where you will find yourselves required to attend design briefings, study copious market research reports, read statements of design objectives, and analyze the client’s competition. You may wonder, “When do I get to design? All that left-brain thinking for a right-brained designer? Something is wrong.” No. Nothing is wrong. Welcome to the world of strategic design. You may wish to develop what I call a “right-brain-left-brain volley.” Learn the rhythm of the game. And then, then trust your intuition. Finish the set with a smashing right-brain serve. 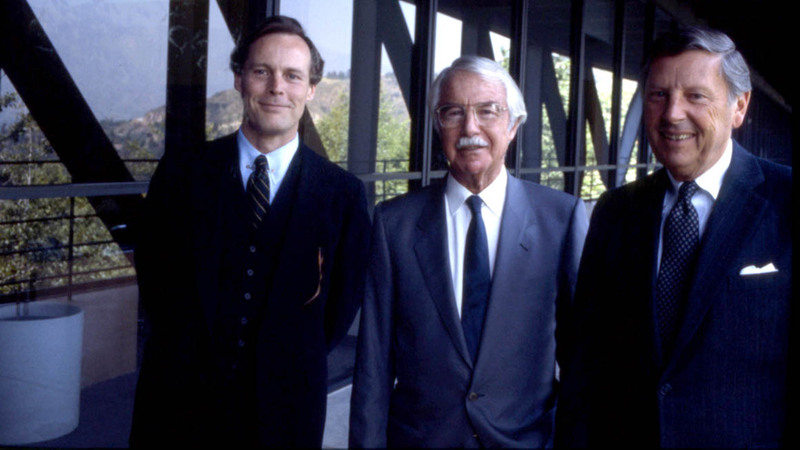 Paul Hauge, Walter Landor, Donald Kubly crossing the bridge walkway at the Art Center College of Design. © Art Center College of Design, Pasadena, CA. Finally, and very importantly, develop a third eye. That’s the eye that views anything you design as if someone else were looking at it. You see it one way because you’ve created it. You are a prejudiced party in that sense, and you bring to it clusters of your own associations that do not necessarily exist in the design itself when perceived by others. Look at it with your third eye, as if you were just an average person who has just happened upon it for the first time. When you master that, you will be a great design communicator. Those are my five little secrets. I give them to you on this important day—free—in the hope that they will work for you. To all of you—those of you who I hope will become formidable competitors, and we need the competition, and those of you who may one day work with us—I wish you a most satisfying career and a joyous and meaningful life.